While every business regardless of its size or its reliance on IT infrastructure should have a plan in place for disaster recovery, it is even more important to avoid or mitigate the damage from a business disaster in the first place. Business disasters can range from a data center fire to extreme natural disasters, such as a hurricane. Your IT infrastructure should be organized in a way that minimizes its overall exposure to business disasters and mitigates as much of their potential damage as possible if they do happen. Here are the top 5 methods for protecting your company from needing to enact its disaster recovery plan in the first place. Enterprise hosting is an increasingly common service that allows companies to outsource the hardware, maintenance and management of their software and applications. Many companies choose to use enterprise hosting services because it allows them to rely heavily on IT infrastructure to support their business without needing to develop their own expensive and complex in-house IT department. Enterprise hosting also allows a company to focus its IT efforts on product development and customer experience, while leaving the more mundane details of IT maintenance to a trusted and reliable third party with the resources and specialization to maintain the company’s software and applications for a much lower cost. Using an enterprise hosting service also means that a large proportion of a company’s essential applications and software are hosted and maintained in a location that is not only separate from the company’s offices, but also designed to withstand accidents and disasters. Data centers are the most reliable locations for any form of IT infrastructure, which makes them the ideal place to safely run your company’s software and applications from. Using the latest hardware and technology for your IT infrastructure means that you have the most reliable support for your company’s network and software. Aging and outdated hardware and technology will be more prone to failure in the event of a disaster, which means that your company will be more exposed to data loss, network downtime and other similar IT infrastructure failures. Identifying, acquiring and maintaining the latest hardware and technology for your IT infrastructure can be a very expensive challenge for all but the largest corporations. Most companies operate on dated, and even second-hand, hardware and technology, which leaves them extremely vulnerable to severe negative outcomes during disasters. By outsourcing as much of your IT infrastructure as possible, you not only ensure that most of your IT infrastructure is running on the latest hardware and technology at a professional data center, but it also provides you with the time and money to ensure that your essential on-site IT infrastructure is also able to use the latest technology and hardware. A solid network ensures that your company’s IT infrastructure will continue to function effectively in the case of a disaster, allowing you to avoid any unnecessary and expensive restructuring, replacement and data restoration. Your company’s IT network is what allows all the different pieces of technology to communicate with one another and act as a secure medium for the operation of your applications and your company’s ability to communicate internally and externally. Weak networks are extremely vulnerable in the case of a disaster, which means that even otherwise intact IT infrastructure will be rendered useless as no individual nodes in your network can communicate with each other. PRTG is a network monitoring software that provides unparalleled 24/7 protection for your network. PRTG is able to monitor the overall performance of your network and identify any potential problem areas long before they become an issue or cause any damage to your IT infrastructure. As advanced PRTG service monitoring may be, it does require professional oversight to understand the feedback and successfully apply remedies to your network. Professional data centers rely on PRTG to monitor all the company networks that they oversee, which means that outsourcing your IT infrastructure automatically ensures that you have 24/7 monitoring of your network by the most skilled professionals in the industry. It is an unfortunate fact that not all data centers are created equally. Moreover, it is practically impossible for company owners or directors to be able to identify a good data center from a poor one based on sight and intuition alone. This is why the data center industry and regulatory bodies have developed strict requirements for certification and compliance standards, so that the end consumer can be assured that they are receiving a high quality service when they use an industry-certified data center. Be sure that the data center that you use to outsource your IT infrastructure has all the latest certification from relevant industry bodies, which will ensure that your IT infrastructure has the greatest possible protection from business disaster. Data centers are designed specifically to protect the hosted IT infrastructure from damage and loss in the case of disasters and emergencies, and the certification ensures that you are receiving the highest possible level of protection for your IT infrastructure. While it is impossible to keep your IT infrastructure completely safe from business disaster, you can ensure that it is as protected as possible by outsourcing most of it to a professional certified data center. Not only will your IT infrastructure have the best possible protection from business disaster, but you will also end up saving money, receiving higher quality IT services and allowing your in-house IT department to focus their efforts on product improvement and customer satisfaction, which is what ultimately drives sales and profit. SoftsysHosting provides all of the above services and more for the most competitive prices in the industry, which makes them our top recommendation for protecting your company from business disasters and the need to enact your disaster recovery plan in the first place. 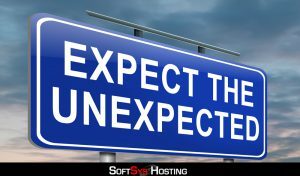 There are many certified data centers and service providers, but SoftsysHosting stands above the rest for the quality of the services that they provide and the low price that they charge for these services. where hostname/IP should be the host name / IP address to connect to the server. 4) Navigate to line containing text #Port (which is currently commended out with a # sign). Remove # and replace port 22 with your preferred new port # (eg. 2220).